At the end of last semester, Gary Scales (Ph.D. Student in History at Temple) led a workshop on the basics of QGIS, the open-source desktop GIS program. Although familiar with QGIS from a project Danielle Abdon was working on last year, I had steered away from it thinking that it was too complicated for someone in the midst of writing a dissertation and the barrier of entry would be too high to create the types of maps I envisioned for my project. Well, I was wrong! Once I got past my fear of the unknown and downloaded the program onto my computer (it’s available across platforms–a plus), I quickly realized that I could make maps that were infinitely more useful than those I had made with programs such as Google Maps and CARTO. Although both of these programs create dynamic and visually stunning maps, their reliance on modern basemaps was problematic to me as a scholar of the ancient and medieval worlds. 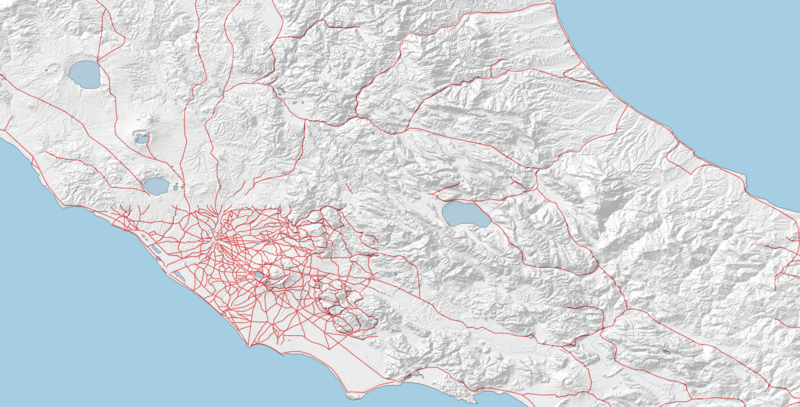 I didn’t necessarily want to plot locations on a modern map of the Mediterranean–I wanted to visualize my data within the geographic context of the later Roman Empire and onto a map that reflected that reality. 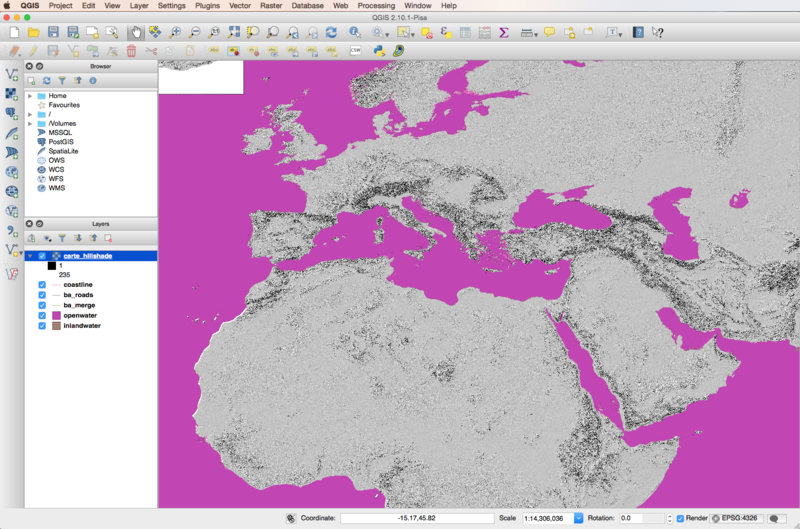 This is where QGIS, which allows you to create and utilize your own basemaps from open-access shapefiles (among its other helpful aspects), comes in handy. 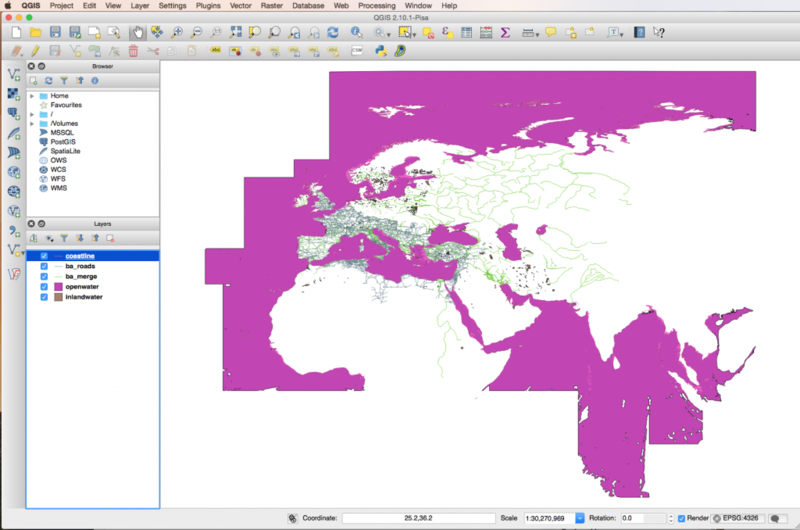 What follows will serve as a step-by-step quick-start guide for creating a QGIS map of the ancient Mediterranean using the open-access shapefiles found at the Ancient World Mapping Center (AWMC). It is important to remember that shapefiles are a form of vector data and should be saved in a project folder with that designation, to avoid any confusion down the line. 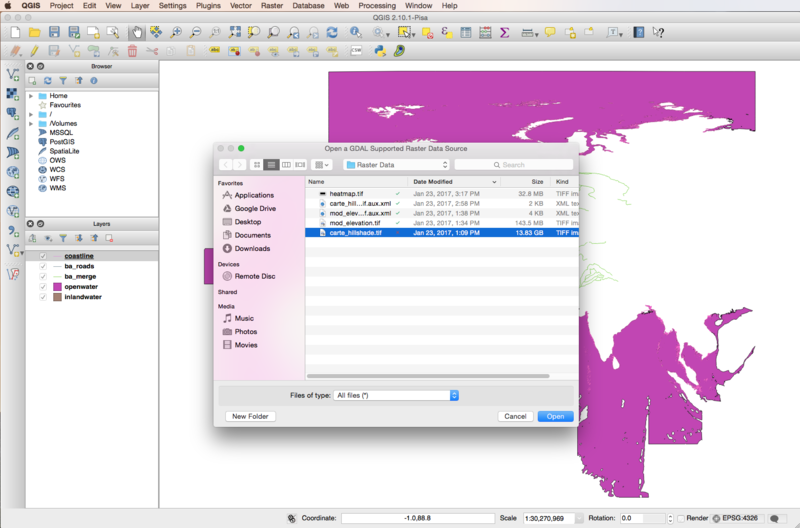 Also, when downloading these shapefiles, be aware that you will have to download “sets” of files for each vector data layer: .shp (shape format), .shx (shape index format), .dbf (attribute format). 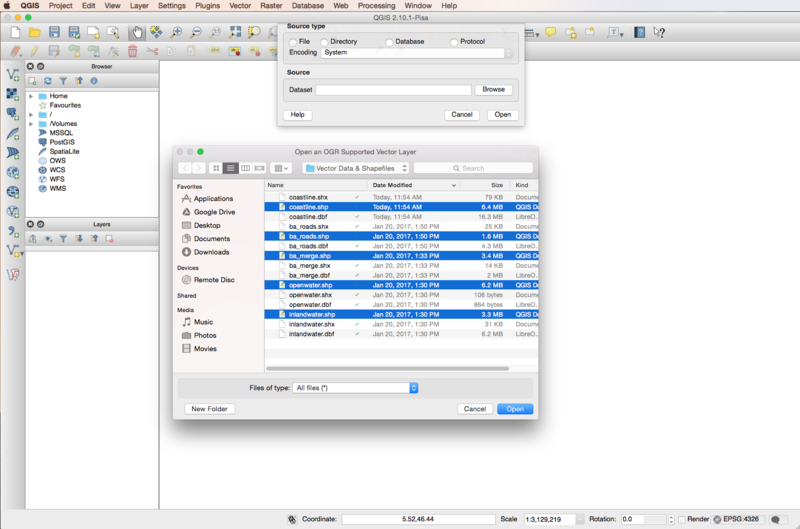 Although you downloaded multiple sets of files for each type of shapefile, you will only need to upload the ones designated with the .shp ending. 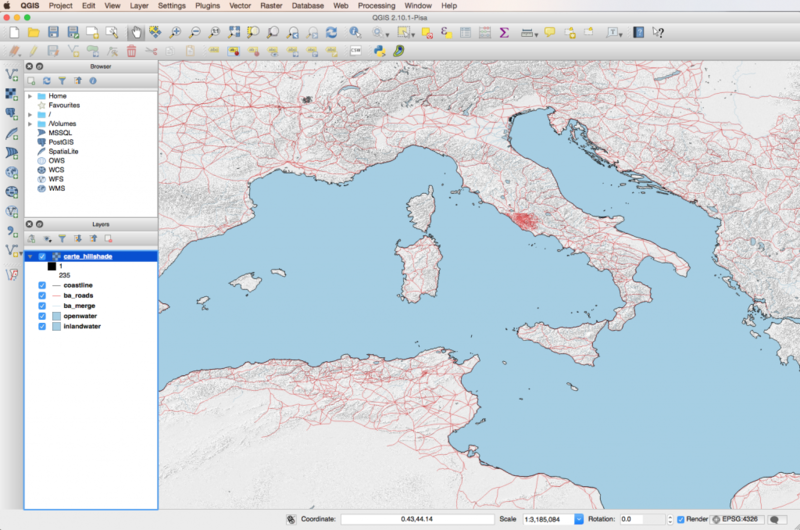 From here, additional layers can be added, including ones that contain geo-referenced data (like specific locations) in the form of a .csv file.